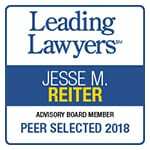 September 25, 2018 /0 Comments/in Disability /by Reiter & Walsh, P.C. The back-to-school season is officially upon us! As part of our back-to-school series, we want to shed light on an important topic: handling seizures in the classroom. Disclaimer: This page was not written by medical professionals, and therefore this information is not to be taken as medical advice. For specific instructions regarding seizure care, ask your doctor or your child’s doctor. 1 in 10 people has experienced a seizure at some point (1). Teachers and other school staff members are sometimes trained to handle seizures in the classroom. However, many people who work or volunteer in schools may have questions about what to do when a child has a seizure at school. There are many different types of seizures. If a student has a history of seizures, information regarding what type and what the seizures look like should be gathered by his or her teacher before school starts. The following are some key details about each type of seizure found on The Epilepsy Foundation website. Generalized tonic-clonic/grand mal seizures: When the person convulses, cries out, shakes, or jerks. They may also become unconscious or unaware of what’s going on. Bladder and bowel control may be lost during a generalized tonic-clonic seizure. Absence/petit mal seizures: When the person loses awareness, sometimes with blinking or moving of the face or arms. Simple partial seizures: When one area of the brain seizes, resulting in a loss of control of body movements or distortion of one or more of the senses. Complex partial seizures: When consciousness is lost or clouded, resulting in getting up and walking around, being unresponsive, muttering, appearing sleepy or drugged, or tapping aimlessly – the child will most likely not remember what happened during the seizure. Other/atonic/myoclonic/akinetic types of seizures: When someone experiences sudden changes in muscle tone, resulting in jerking movements or sudden falls. Maintain a calm tone to keep other students from panicking. Reassure and comfort the student if they experience confusion or fear following the seizure. Allow the student to remain seated in the classroom until awareness returns. Allow the student quiet rest time following the seizure. Explain to the student what happened and help reorient them. If the student lost bladder or bowel control during the seizure, allow them to use the restroom and provide a change of clothing without calling attention to the accident. Help other students to understand what happened and answer questions if applicable. Encourage positive reactions from classmates and return to the daily routine. Depending on the type of seizure a person is having, additional first aid measures may be necessary. For example, if a child has a generalized tonic-clonic seizure (this is the type of seizure people tend to be most familiar with, as it may involve obvious signs such as falling, shaking, or jerking), an adult should ease them onto the floor, remove any nearby objects that are hard or sharp, put something soft under their head, turn them onto one side, and remove glasses/loosen tight clothing around the neck. The child’s doctor should be able to provide more individualized information about what steps should be taken when they have a seizure.